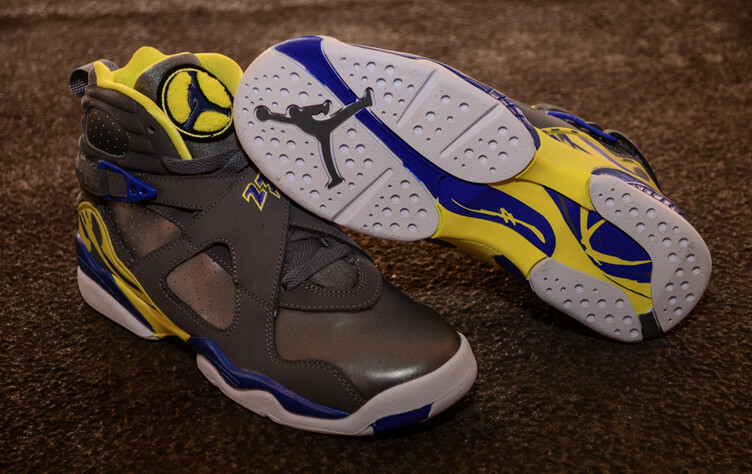 The grade school exclusive styles continue to impress with next week's release of the "Laney" Air Jordan Retro 8 GS leading the way. 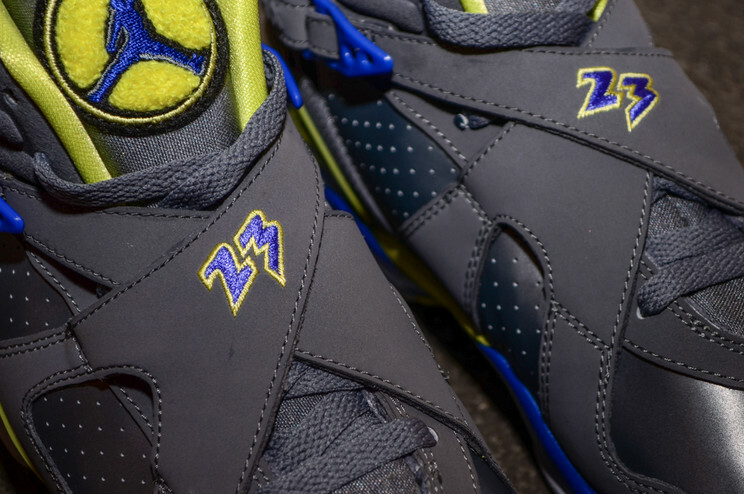 Providing the younger generation with a different look, the Jordan Brand hit the strapped up classics with a color scheme inspired by MJ's Laney High School. 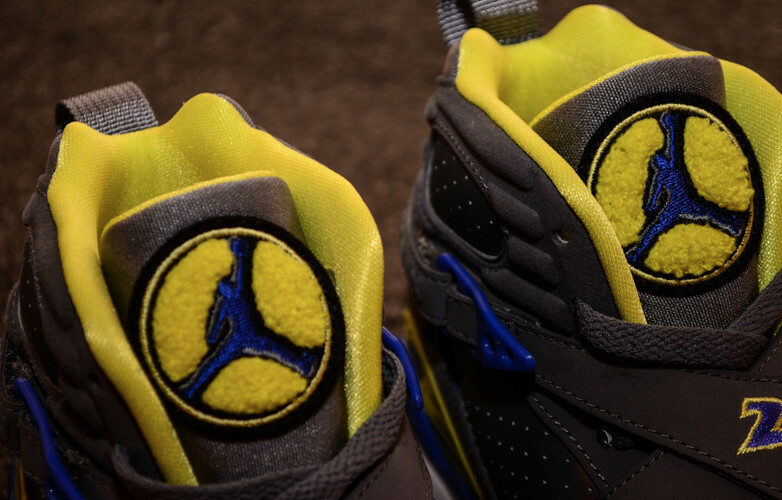 A traditional grey tone dominates the nubuck upper, while hits of dark blue and bright yellow add some pop throughout the shoe. 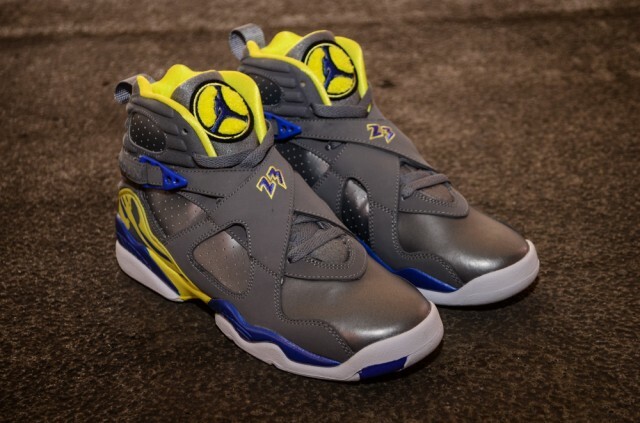 Look for these to hit authorized Jordan Brand accounts on April 13th.